Fundraising events are boasting with incredible potential for fundraising and stewardship that your school can capitalize on. Plus, events like school galas, walkathons, and charity auctions are all great opportunities to get face-time with major donors. Streamlined event registration is by far the easiest way to plan for donor interactions and gather vital donor data in advance. Once you have the important donor information recorded from your event registration forms, you can conduct prospect research and wealth screenings to identify your most capable and likely donors. Then you’re adequately prepared for face-to-face interaction with major donor prospects! If you’re ready to find the perfect fundraising event registration tool for your school, let’s dive in! OneCause knows that not all event registration tools are created equally! They equip your team with the best solution your organization could ask for. They provide robust and easy-to-use tools like iPad check-in, diverse ticketing, and microsites so you can strive for your most efficient event registration process yet! You’ll even be able to add additional guest and payment information into a registrant entry during the check-in process for any last minute insights. With OneCause, you’ll be able to immediately communicate guests’ seating arrangements with their table number and other details. Plus, you can enter onsite purchases like fixed price items or additional donations. OneCause knows no two nonprofits are alike so they offer a multitude of packages to fit any and every event. Contact OneCause for a quote on their online event registration tool today. Check out OneCause's event registration tool! Salsa offers nonprofits like yours impeccable solutions for event registration. Because event registration can be so hectic as you encourage donors to attend, Salsa makes sure creating your online event registration forms is as easy as can be. Their drag and drop builder allows you to craft and customize the perfect form for your event, your donors, and your organization! You’ll be able to offer different ticketing packages at all different prices and even make them available at different times. Your organization can configure purchases for varying or all registration levels as well. 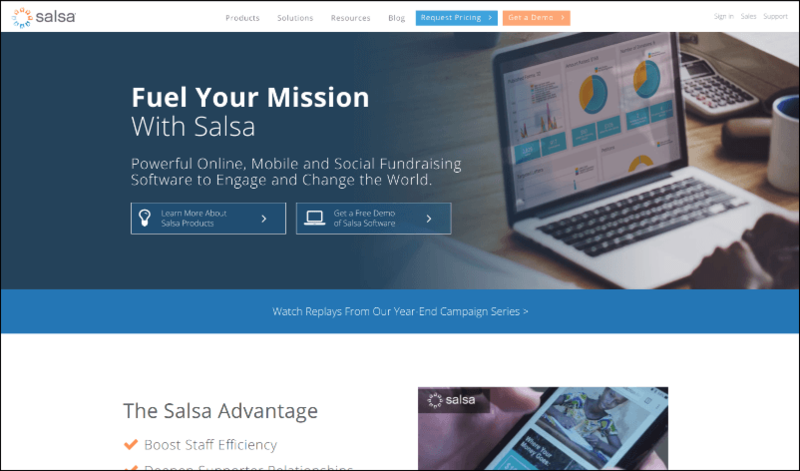 Contact Salsa for a quote on their fundraising event registration software for schools today. 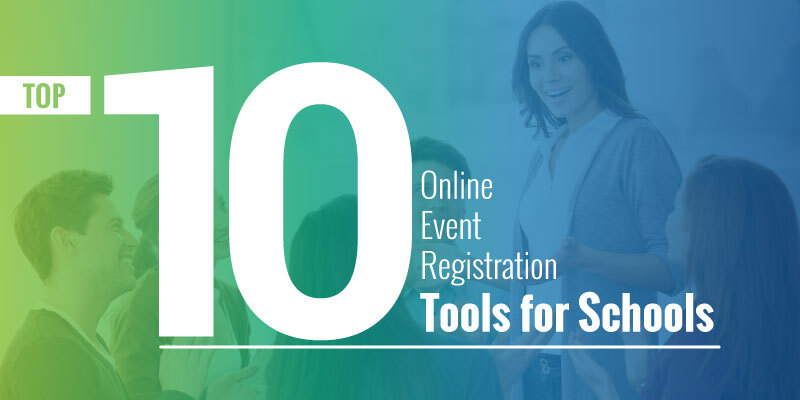 Check out Salsa's event registration tool! Spend less time on your fundraising event registration and more time on your fundraising, your mission, and other projects. With over 20 years of experience in payment services and plenty of understanding on building microsites, Omegafi simplifies your event registration process so it’s easier for both your fraternity and your donors! Omegafi helps organizations easily set up their event registration so you can accept payments from anywhere! 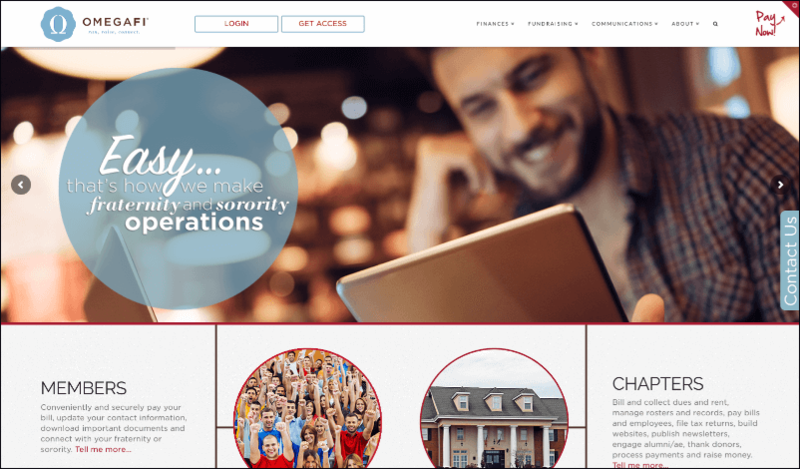 Plus, with Omegafi, your greek life organization and alumni can provide multiple, convenient payment options to your donors, encouraging more revenue. Contact Omegafi for a quote on their fundraising event registration software for schools. Check out Omegafi's event registration tool! Speed up your after-school event registration with the help of Doubleknot’s ticketing and admissions solutions for museums and arts centers. Doubleknot allows your school to customize your tickets with your colors and apply discounts based on memberships. Plus, you can check-in your guests with scanners, web cameras, and iOS devices for a speedy and efficient process that allows your guests to enjoy your event from the moment they get out of the car. Doubleknot even encourages your guests to be extra tech-savvy with mobile tickets! Plus, their group ticketing option allows you to scan once for an entire group of attendees so your after-school event will be easy to manage. 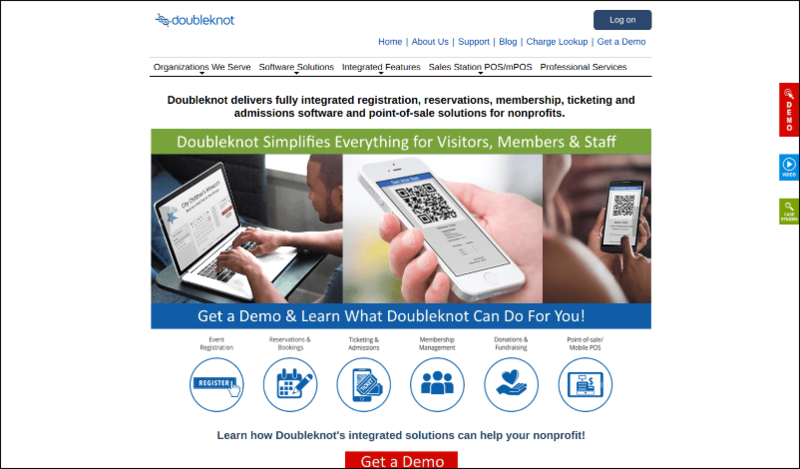 Contact Doubleknot for a quote on their fundraising event registration tool for schools. Check out Doubleknot's event registration tool! Fonteva Events, their fundraising event solution, comes stocked with incredible event registration tools your higher education organization can use to create a quick process. With Fonteva, your school receives on-the-go customizable registration and easy payment processing. 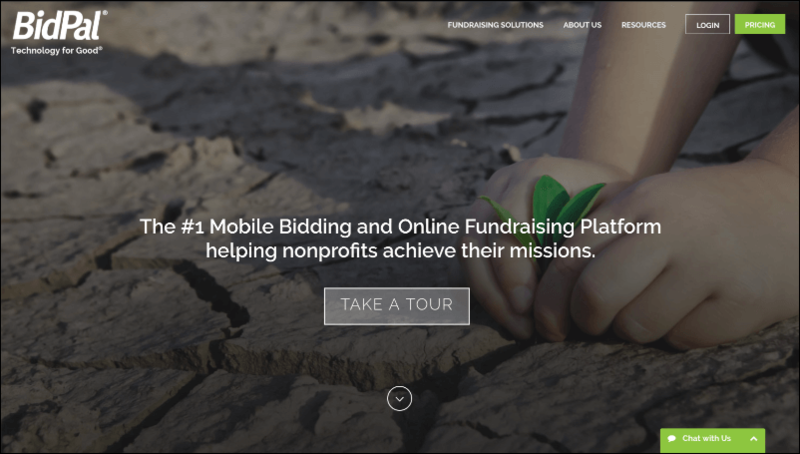 This provider handles all the dirty work so you can focus on connecting with supporters and fundraising efforts. Plus, this platform is native to Salesforce so it’s the perfect solution if your school is already using Salesforce and therefore, only works on Salesforce! Your event attendees will be able to keep everything mobile with Fonteva’s mobile passbook tickets. Your school can scan their tickets directly from their mobile devices for a speedy check-in process. Contact Fonteva for a quote on their fundraising event registration software for schools. 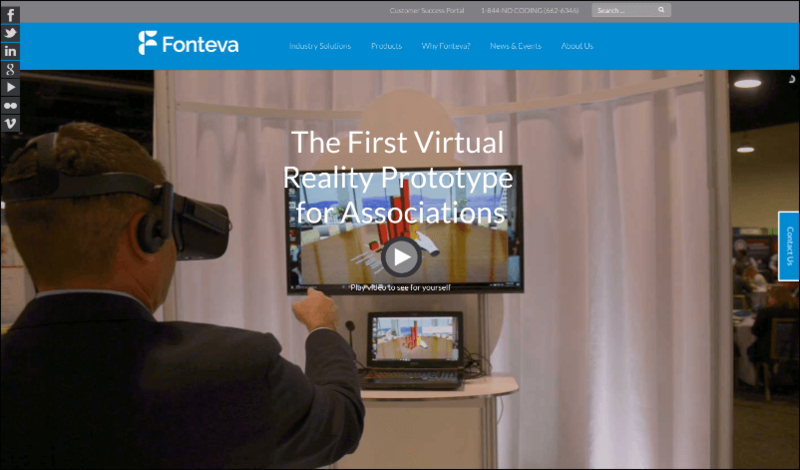 Check out Fonteva's event registration tool! Maintaining your event registration is an easy task with the help of MobileCause’s comprehensive fundraising event registration solution. With MobileCause, you can completely customize your tickets. Everything from attendee names, sponsorship levels, and more will be adjusted to fit the look and feel of your organization. Plus, you can manage all of your event’s RSVPs with real-time reports. These forms can include customized fields of information so your school receives exactly the data you need. You’ll even be able to let your supporters know when your event is sold out! They’ll be redirected to a waitlist that records their information for future fundraising events. 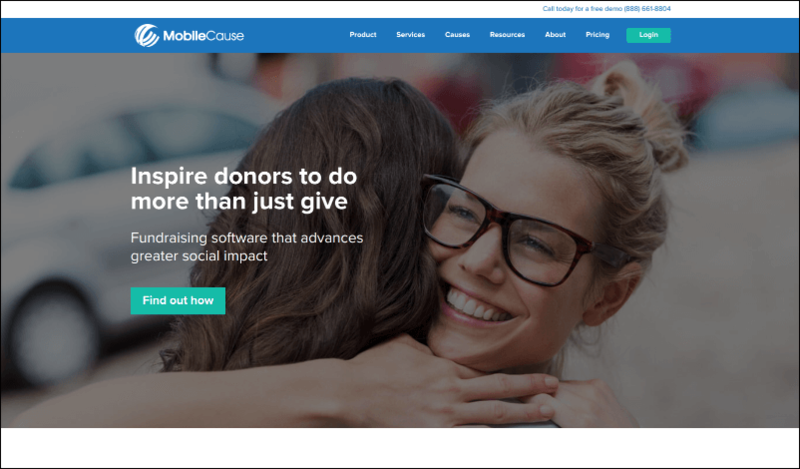 Contact MobileCause today for a quote on their fundraising event registration software for schools. Check out MobileCause's event registration tool! 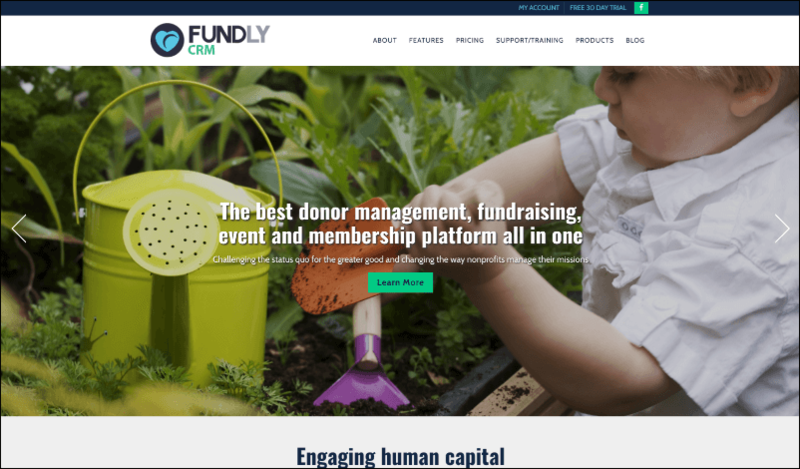 Fundly CRM offers schools like yours the ultimate tools when it comes to fundraising event registration. Within their event management solutions, Fundly CRM offers customizable tickets and receipts so your registration process will be branded and professional. Plus you’ll be able to assign sponsors and offer different tiers of ticket packages. This way, your supporters can find the perfect ticket for them while staying within their price range. With Fundly CRM, your supporters can print their ticket or present it over email. Providing your attendees with options will allow for an efficient and positive experience! Check out Fundly CRM's event registration tool! 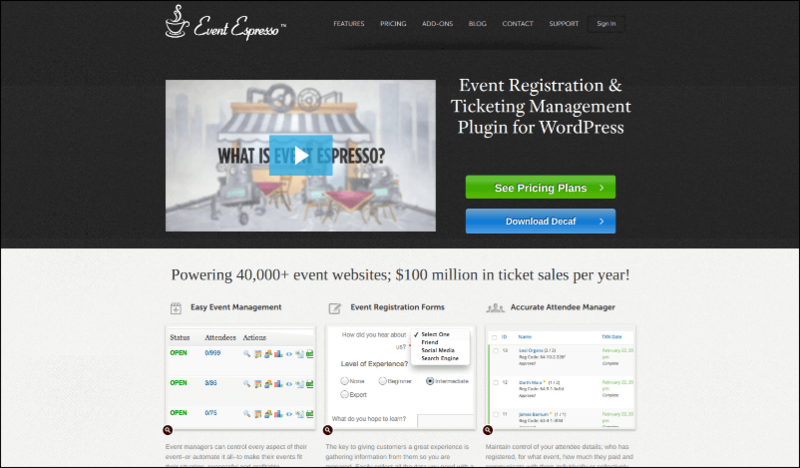 With over 40,000 event websites under their belt, Event Espresso helps speed up your event registration, making it more productive and energetic all around. Event Espresso knows that the best way to create a positive attendee experience is to gather the right information from your fundraising event registration forms. Their software lets you customize each form so you get the right data, instead of wasting supporters’ time and space on your forms. Plus, Event Espresso offers schools like yours a Ticket Selector for different pricing options. This way, your guests can find the perfect package for them while sticking to a budget. Plus, with Event Espresso, you can offer different ticket quantity limits and set multiple dates and times for events. Check out Event Espresso's event registration tool! Acceptiva lets your organization run fundraising event registration 24 hours a day, 7 days a week, 365 days a year. With Acceptiva, your school can create an unlimited amount of forms and even be notified when a guest registers on any event form. Don’t forget about their robust reports that allow you to see which ticket packages are most popular for which events. Plus, you can even integrate Google Analytics for more data! 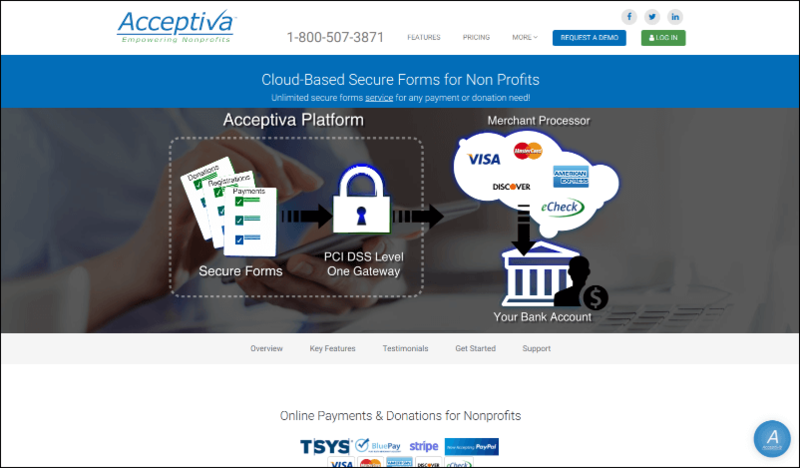 Like any proper provider, Acceptiva’s payment processing solution is PCI compliant so your supporters never have to worry about their information being jeopardized and neither do you! Contact Acceptiva for a quote on their fundraising event registration tool for schools. Check out Acceptiva's event registration tool! Executing an easy-to-use event registration process is painless with RightLabs’ drag and drop form builder. RightLabs knows your event is only as successful as your event registration, which is why they offer totally customizable registration forms so your donors see the information they want and you get the supporter data you need. Your school can accept both mobile and printed tickets. All tickets feature a QR code that you can scan from any iPhone or Android device for a quick check-in process. You’ll even be able to send guests automatic text reminders to generate excitement about your event. Plus, you’ll be able to configure custom reports so you can review the data that’s most important to your school. 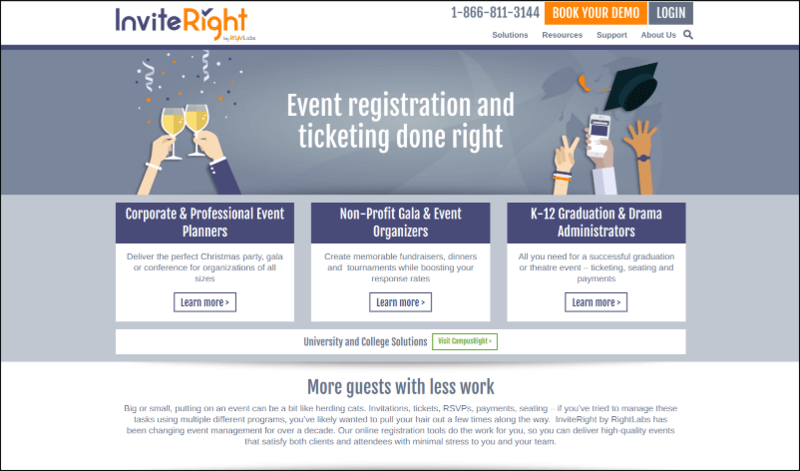 RightLabs’ event registration software, known as InviteRight, pricing varies based on your ticket sales. For example, if a ticket to your event is $45, your school will pay $2 for every ticket. Check out RightLabs' event registration tool! Now that you have our top 10 fundraising event registration software for schools, there’s nothing holding you back from a seamless registration process. Bring your event to the next level by providing a stellar donor experience, starting with your event registration! DonorSearch’s Wealth Screening Guide. Wealth screening reveals critical information about your supporters like real estate ownerships and business affiliations. Check out our wealth screening guide to see how all that information can help your organization. DonorSearch’s Planned Giving Guide. Use planned giving to your advantage. These gifts can be encouraged and arranged with the help of our planned giving guide. Take a look at our tips and pointers! DonorSearch’s Prospect Research Guide. Organizations use prospect research to learn more about their supporters. From general interests to past giving history, prospect research gives you important fundraising insight. Learn more about prospect research with our ultimate guide.